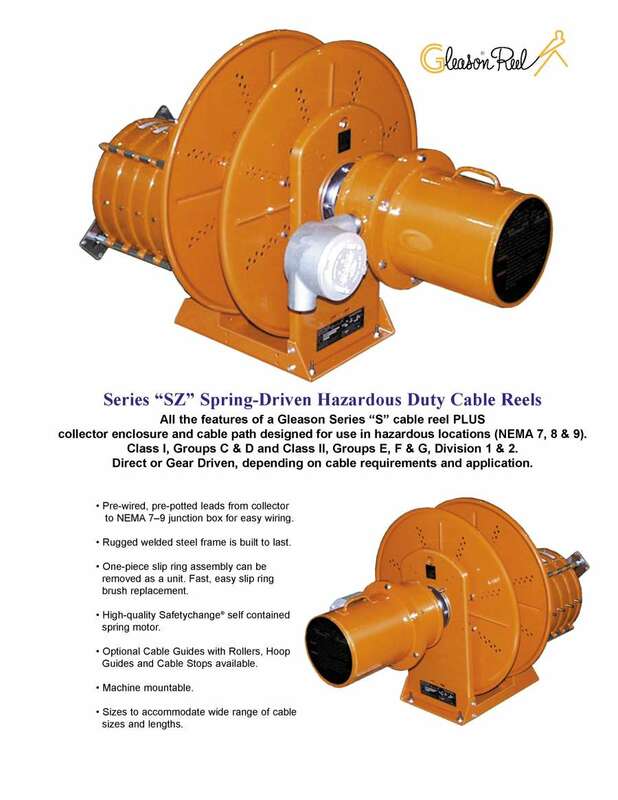 "SZ" Hazardous Duty Cable Reels have all the features of an "S" Reel plus an extra heavy slip ring enclosure and pre-wired/pre-potted junction box. 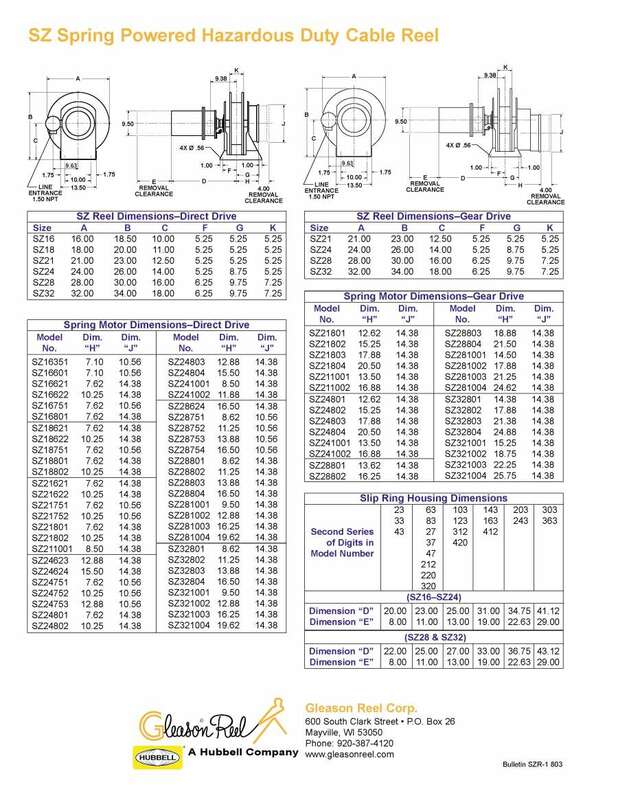 Designed for use in Class I (groups C & D) and Class II (groups E, F & G, division 1 & 2) hazardous environments, the direct or gear spring drive reels are available with 16" to 32" diameter spools. The pre-wired and pre-potted NEMA 7-9 junction box saves time during installation because the electrical connections are made in the box, not directly on the slip ring. Slip rings are available for four to 36 circuits, 35 to 200 amp.